Put a rain garden, environmental education, and public art on it! Before: Just a trail along a ditch. After: Adding a rain garden absorbs stormwater, creates new habitats and makes an interesting place. These images are apart of the Greenville West Side Comprehensive Plan, 2013-2014. Put a mural, little free library, and benches on it! Before: The Swamp Rabbit Trail crosses under a train bridge. It's an unmemorable moment on the trail. After: Adding a little free library, a mural, benches and lighting make it inviting and interesting. This image is a part of the Greenville West Side Comprehensive Plan, 2013-2014. Put a bike lane, and a wider sidewalk on it! Before: 7th Street bridge. 5 lanes - turning to where? You might ask. Wide lanes. Talking to a few of my would-be bicycle commuter friends, they find this bridge to be one of the scariest parts of 7th Street because it is so wide open and cars go really fast. Wide lanes and an extra turn lane leave plenty of room to give an extra few feet to those on foot or two wheels. 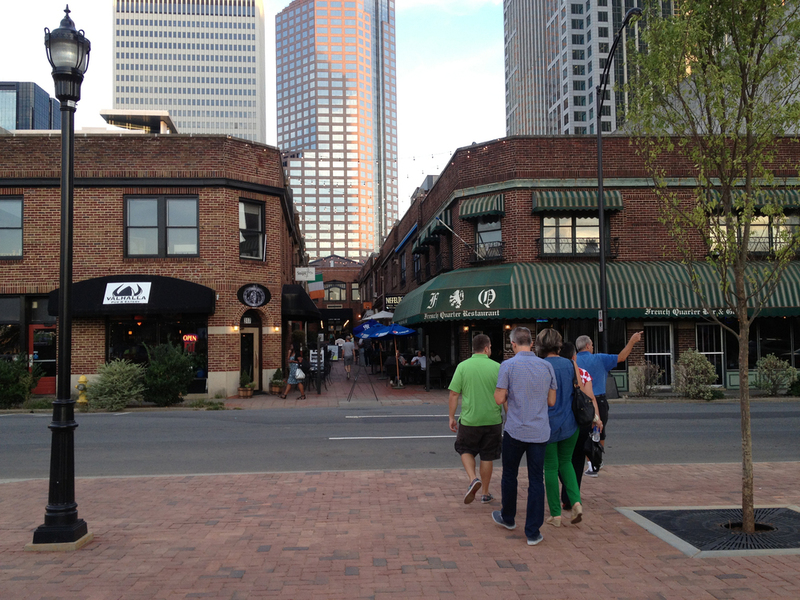 This is one of the few entrances into Uptown, can we try to make it a little more all-people friendly? After: 7th Street bridge sidewalk widened and bike lane added = more safety and enjoyment for those not in a vehicle.